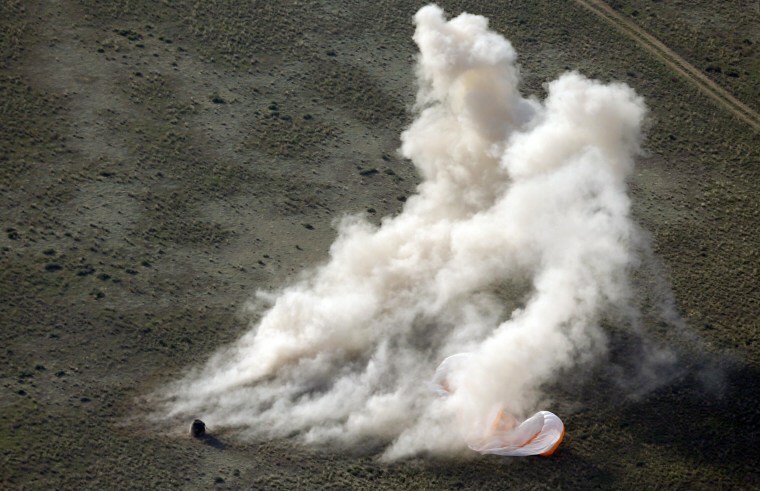 Three astronauts, a Russian, an American and their Japanese commander, touched down safely on Earth aboard a Soyuz capsule on Wednesday, the first such landing since Russia's relationship with the West slumped amid the Ukraine crisis. NASA announced in April that it was cutting space cooperation with Russia, but that work at the space station would not be affected. In what appeared to be a retaliatory move, Russia's deputy prime minister Dmitry Rogozin said Tuesday that Moscow had no plans to keep the station past 2020, even though NASA had indicated in January that the station's lifespan would be extended to 2024.